Plays like "Richard III," "Antigone," and "Measure for Measure" all take on a new life when performed at homeless shelters, minimum security prisons, and workhouses. The audiences life experiences inform the play and creates a back and forth between them and the actors. Something you might not experience at any other production. Ten Thousand Things performs in prisons, homeless shelters, low-income housing and community centers. Their mission is to bring "lively, intelligent theater to people with little access to the wealth of the arts, invigorating ancient tales, classic stories, and contemporary plays through vital, open interactions between actors and non-traditional audiences." MN Original follows Ten Thousand Things to the Hennepin County Adult Corrections Facility for their performance of "Life's a Dream" by Pedro Calderon de la Barca, and talks with Artistic Director Michelle Hensley about the power of minimalist theater. 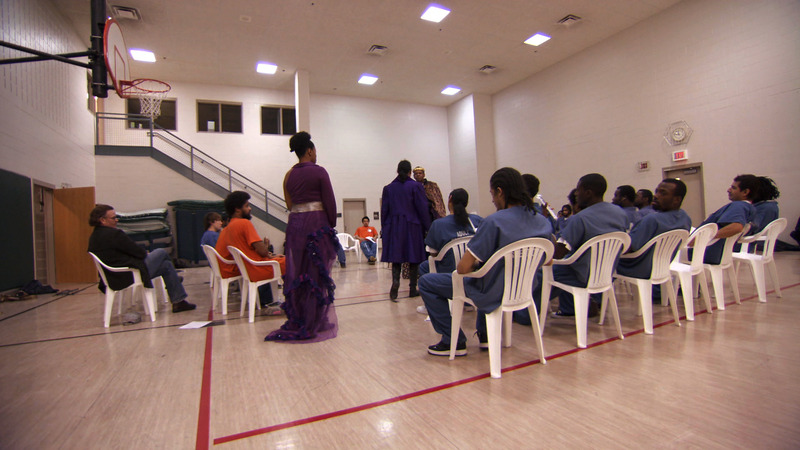 Ten Thousand Things performs theater in prisons, homeless shelters and community centers.